Commercialising research outcomes enables the CRC’s research innovations to be delivered to people who will use them such as new technologies for hearing devices and tools for clinicians. Every HEARing CRC research project must consider the likely benefit of its research outcomes to each of our end-users, and detail this in a commercialisation or utilisation strategy. This strategy must also consider how to best translate and deliver that information for the end user to maximise impact. There are two key approaches to translation within the HEARing CRC. These strategies are reviewed regularly by the Board of Directors and may include product development or upgrade as well as development of new technologies. the involvement of third parties (e.g. Frye Electronics Inc). Alternatively, technical reports are used to disseminate research project outcomes to our Members (in the case of trade secrets and other commercially-sensitive know how). In many cases IP is not of a nature that can be codified into patent applications, but rather forms know-how and show-how which is provided as Technical Reports to assist research and development. 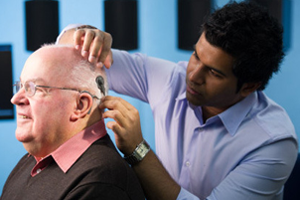 Research outcomes in the field of cochlear implants are directly provided to Cochlear Ltd for worldwide application, providing a global audience for Australian research. Similarly, research reports relevant to the hearing aid field are provided to Sivantos Pty Ltd. This type of uptake and use is achieved through our communication and education activities, often in association with our clinical and professional Members. presentations at conferences and publications in peer-reviewed, non-peer reviewed and industry/trade journals. The current suite of HEARing CRC products and services are available from the HEARworks website. An overview of our current commercialisation activities are shown below. This project is focused on implementing, managing and accessing clinical studies arising from HEARing CRC research, and other collaborations with its Members and third-party clients. 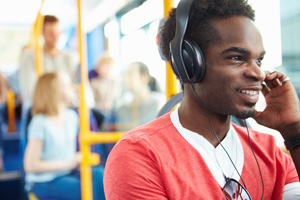 This project oversees the development of hearing aid technologies identified as collaborative projects with its Members and third-party clients. 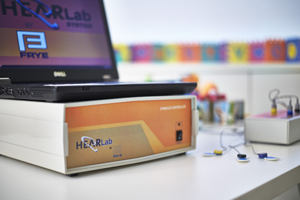 This project is tasked with developing new modules for HEARLab – a portable device that allows hearing tests to be delivered to clinicians in the form of new software modules without the need to update equipment hardware.